SBS has appointed Ben Naparstek (pictured) as its new Head of Editorial, Online and Emerging Platforms. He joins the public broadcaster from Fairfax, where he was the editor of flagship weekend insert, Good Weekend. As SBS’ Head of Editorial, Online and Emerging Platforms, Naparstek will be responsible for the overall editorial strategy for the SBS online network. Charged with commissioning and acquiring content, he will also oversee the development, production and publishing of content across the SBS websites, and will play a key role in SBS’ range of innovative cross-platform initiatives. 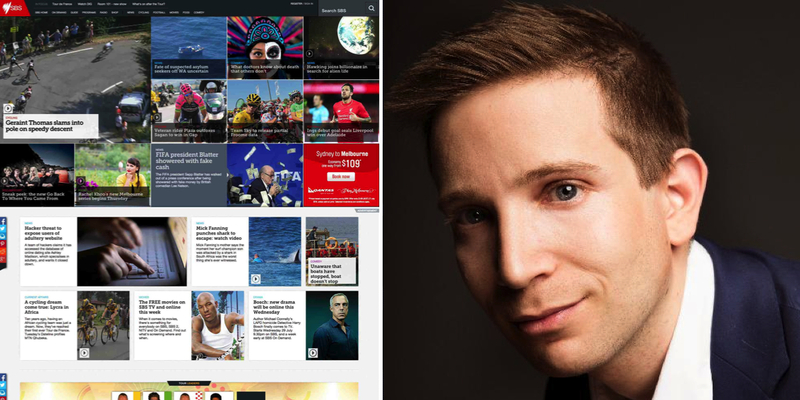 Over his three and a half years at Good Weekend, Naparstek saw the title win multiple awards including three Walkleys, saw the average time readers spent with the magazine increase, and also launched the magazine as a digital brand. He will commence in the role on Monday, August 10.